Share the love – and how to work out your birth chart! Soon you’ll have your own Birth Chart! Yippee! This is so much simpler than it sounds, so why not give it a go? 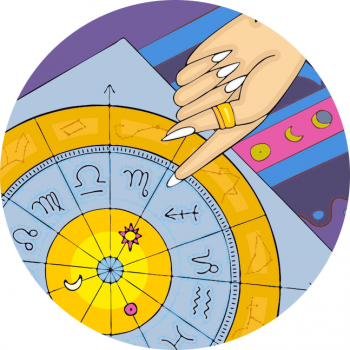 In the olden days, astrologers used to draw up birth charts by hand, but now it’s super easy, what with new technologies and all… Seriously – it’s easy peasy! A birth chart, a.k.a a natal chart, is a map of the sky for a particular point in time. Our personal birth chart reflects the planetary positions at our time (and place) at birth. Because the planets in our solar system are constantly moving, our birth charts are totally and utterly unique. There can be huge similarities between the zodiac signs that make up your chart when compared with another persons, but essentially it’s totally individual to you! See the free birth chart calculator here on starsignstyle.com. Remember, the most important thing is to enter the correct time you were born (as exact as possible please!) Your place of birth must be correct too. This is because your birth chart is calculated using planetary positions that will be different for people based on time and place of birth. Hannah in Hong Kong will be different to Gemma in Germany, even if they’re both born at 6 o’clock see? Why Should I Work Out My Birth Chart? Although your star sign or sun sign might resonate somewhat with your disposition and life path in general, the planets outlined in your chart will reveal much more about your personality. The Planets – They’re All Different Characters In Our Character! The positions of the planets are regularly recorded by scientists, astronomers and astrologers – so many stargazers! This goes some way to showing just how important they are. Each planet will be appear to be passing through a particular constellation (Aries, Taurus, Gemini right through to Pisces…), and those that study astrology understand that each planet represents a different component in your life. You can produce a birth chart, or natal chart, for anything. That goes for starting a business, publishing a book or getting married. You can determine a particularly good time for a wedding, and many successful business people do indeed consult astrologers, it’s called elective astrology. Working out your birth chart with your exact time of birth means you’ll know your ascendant and midheaven, abbreviated to the Ac and Mc. Read more about the ascendant, also referred to as a rising sign, here.